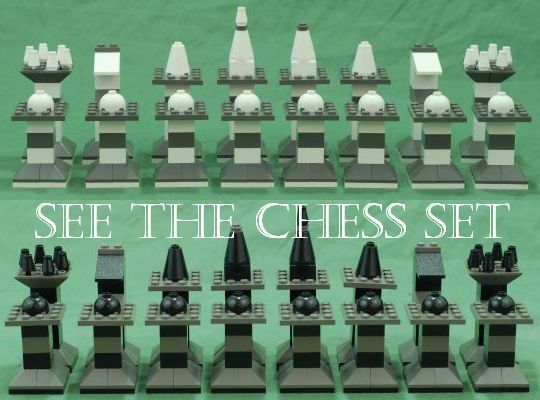 Everybody loves LEGO and Chess, so why not combine them? How about a traditional, staunton-inspired chess set made entirely of LEGO! The LEGO Corporation has put out a lot of chess sets, but they've all used "minifigs" as chess pieces. That's great if you want to sell tons of very profitable little figures, but not so great if what you want is a more traditional chess set. Other folks have built LEGO chess sets. Some are 1x1 sets where each piece uses a single stud (and the chess board is 8x8 studs). Others are more abstract than I care for. Here's a list of such sets. During the course of the Kickstarter project, I put together a stop-motion animation using the LEGO Chess Set pieces. The idea is a sort of introduction to the pieces, like footballers running onto a field, or guests arriving at a royal ball. My daughter’s girl scout troop went bowling and I drove some of the girls. Not being needed other than as a chauffeur, I spent the afternoon in the bowling alley’s restaurant taking hundreds of photos to be strung together into a two-minute video. I hope you like it. 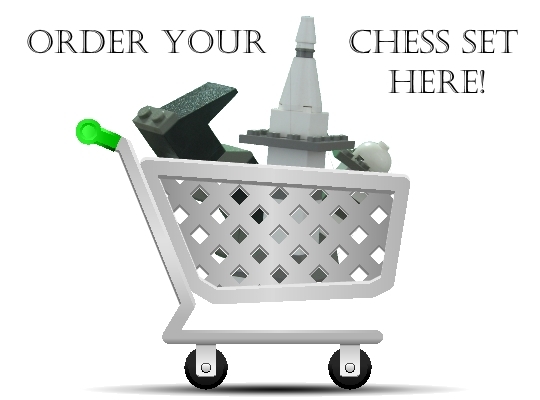 The order page is now live and ready to take your order for a chess set or instructions! Check it out and see what you think! Chess Sets are $150, including shipping, and printed, bound copies of the instructions are $25, also including shipping. Payment is made through PayPal. The project is now live on Kickstarter! Of course, that doesn’t mean it’s time to sit back and watch the money roll in. Quite the opposite, actually. Now is the time to start responding to questions, promoting it on social media and other outlets, and, most of all, talking, writing, and being about the project. I’ve been working hard to get the Kickstarter project ready for launch. The target launch date is Sept. 1. Most of the project is ready. The biggest part, however, is the project video which still needs to be done. That means digging out the lighting kit and the backdrop. My older two kids are involved in theatre and for the last two years, I’ve been doing headshots for the company — hence the studio lighting. I also need to build a photo gallery of the chess set and individual pieces to include on the project page. The photos are done; I need to select the ones to use, edit/crop them, and upload them. The last real task is to build a graph of the timeline to give potential backers an idea of what will happen when. Then it will be time to show it to a few folks I know who have run crowdfunded projects previously or who have backed other projects to get their feedback. It’s an exciting time and I’m really looking forward to what will certainly be a roller-coaster of a journey. I hope you’ll be along for the ride as well!